Persepolis was very powerful and informative. It showed the history of Iran’s civil war and revolution and the fall of the Shah. The symbols were very good. The key represented the key to heaven where there were all worldly pleasures. The rebels gave the key to young boys when they wanted them to join the rebel army. The rebels promised it would get them into heaven when they die. The key represented the path to heaven and it was used as an incentive for soldiers to fight against the Shah in the Iran civil war. The swans that uncle Anoush gave Marjane symbolized the hope for lasting peace in Iran and the hope for the fighting to end between the rebels and the government in Iran. The animation and caricature add to the theme by it brings in some humor into a serious and depressing movie that deals with a very heavy topic. Marjane was an interesting protagonist because she was very rebellious and that was very dangerous in a country like Iran where everything is very restricted and controlled. It was also a memoir of Marjane’s life and a coming of age story. I thought it was sad how Marjane’s parents had to send her away to France. I understand why they did it though. They were just trying to protect her because she spoke out and rebelled against the government too much. Her parents feared the Iran government would arrest her or execute her. Uncle Anoush was a good character because he openly rebelled and spoke out against the evil I ran government. He wasn’t afraid to fight for his country and he was arrested for it. He was a true Iran patriot however. Marjane’s parents were also against the government but they weren’t as open about it. They are very protective, loving, and caring of Marjane. Marjane’s grandmother was very guiding toward Marjane and she guided her throughout the movie like a mentor. The music added to the theme. It was inspiring and rebellious music. The theme of the movie overall was about how governments can oppress their people and can be very restrictive in their societies. It also shows how the government will arrest and even kill people if they speak out against the government. The theme is to fight for what you believe in no matter what the consequences are and to always rebel and speak out against corrupt and evil governments. Persepolis also showed how the Iran civil war and tyranny in Marjane’s country directly affected her life and made her depressed. The movie over all was good and sent a powerful message. Governments often abuse their power and oppress their own people. The people must rise up against their governments to bring them down and establish honest and good ones that give its citizens equal rights and freedoms. Persepolis also showed how European countries backed up the Shah and supported them with their militaries and weapons in exchange for Iran’s oil. European nations helped the Shah oppress his own people in Iran by arming the Shah’s army. The movie shows how it is European countries’ fault that the Iranians were oppressed and put down. 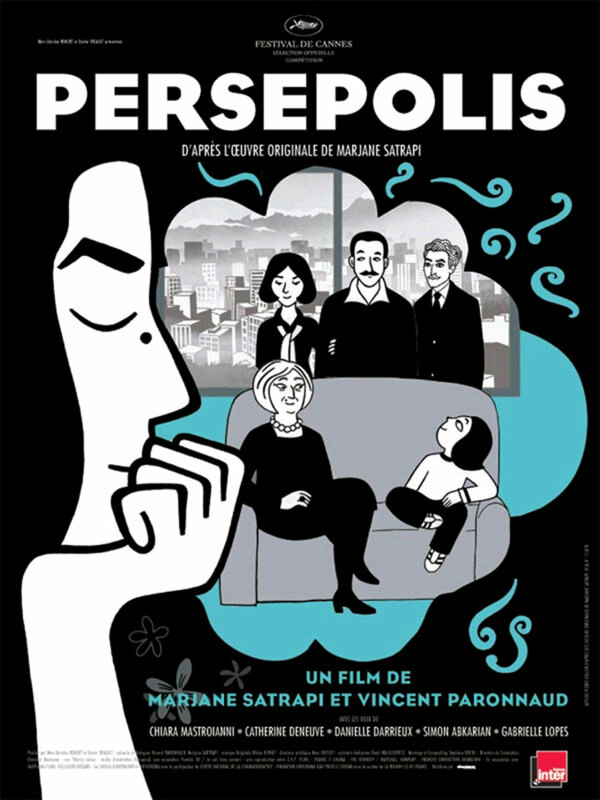 In conclusion the movie Persepolis was powerful and informative. People of all oppressed nations all over the world should rise up against their governments if they are taking away the rights of the people. I strongly believe that the film Persepolis was a great movie that portrayed the civil war in Iran and the revolution through animation. When my teacher Mrs. Ross had told us that my classmates and I were going to watch a film of anime, I really didn’t think it was going to be very informative because I though it was going to be entertaining rather than informative. However, this movie entertained me and informed me through the eyes of Marjane. The movie showed how Marjane tried to grow up and become adults in such a harsh way of living. For instance, by the her way of acting in such rebel way it demonstrated that anybody couldn’t just have acted in that way because the Iranian society was so strict. Marjane was sent to France to be away from her country and her parents because they feared that the government would arrest her. In the Iranian society, one can tell that it wasn’t an ideal place to be living under. For instance, Uncle Anoush was the one who actually spoke out against the government. He was valiant to stand up for himself and everyone else too, even though he had to face the consequences. This shows that the government in Iran was very tough, careless, heartless, and very strict. They didn’t care of the benefit of the people, but themselves. The government had the power to do whatever they felt necessary like to eliminate or arrest anyone they wanted or felt threatened by. This film shows the audience that one should not give up in what they want or be manipulated by others because one has the power to stand up or speak out for themselves. Overall, this movie was very interesting because usually not only was it in animation but it was also in black and white which had a deep meaning behind it. Persepolis used to the ceremonial capital of the Achaemenid Empire in Persia (ca. 550-330 BC). This historical region constitutes of the ruins of various magnificent structures such as Apadana Palace and the throne Hall. It is also UNESCO world heritage site.